The WWE SmackDown Live crew landed in Portland, Maine, as the blue brand prepared for one last live event before the Clash of the Champions pay-per-view which takes place this Sunday at the TD Garden, in Boston, Massachusetts. 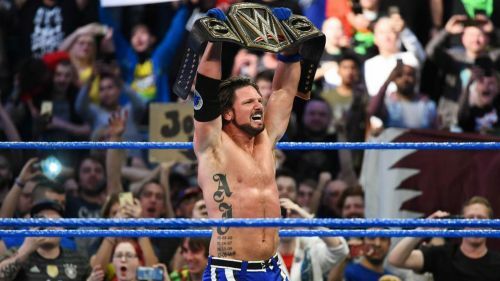 The show, which featured the likes of AJ Styles, Sami Zayn, Bobby Roode and Charlotte Flair, was headlined by a WWE Championship match between Jinder Mahal and AJ Styles. Last night in Portland, Jimmy and Jey got a preview of this Sunday's Clash of Champions pay-per-view, as they defended their tag titles against three other teams on the night. Despite the numbers not being in the favour of The Usos, they still managed to outlast all the other three teams in a solid match and retained their championship belts ahead of this Sunday's PPV. The WWE Universe in Portland was then treated to the first one-on-one match of the evening as Sami Zayn faced off against Sin Cara. The masked luchador put up a valiant performance against Zayn but failed to defeat the former NXT Champion.